First Medical Solutions is on the cutting edge of Medicine and the Healthcare Industry providing new and innovative solutions. Telemedicine is one of those areas where FMS is excelling with new ways to connect the Physician and the Patient. Our skilled engineers are developing and partnering with industry leaders in Telemedicine to produce the best mobile applications and the infrastructure to make it all happen. Telemedicine connects a medical practice and the Physician at one location with the Patient at home or at a remote location in another part of the state, the country or even the world. It brings the encounter to a new level where technology brings optimum care and consultation services via advanced electronics and connectivity. Telemedicine is not appropriate in every situation. But when technology can serve the Provider and the Patient well, Telemedicine gives a valid way for the Doctor to care for the Patient in ways that do not necessitate a face to face office visit. First Medical Solutions would like to share with You and your Team about our Telemedicine solutions and how they integrate beautifully with First Medical Suite. 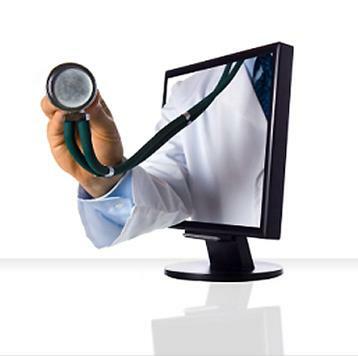 We can guide your Team or Institution on the benefits of Telemedicine and demonstrate the technology to you. We are Telemedicine Professionals and "we take the cut out of cutting edge" making it functional and practical. Telemedicine is becoming a normal and typical way for Doctors and Patients to connect. FMS has in place today a tested and fully secure Telemedicine solution ready for use. We offer the best Telemedicine solution on the market and the proven technology to connect you with your Patients. Allow us to educate your Team on the benefits of Telemedicine and see how Telemedicine can be a reality in your practice.